But being busy means there is A LOT to report! Yeah! That's Donatello on there! Also in RAMPAGE TOYS news - NEW RESIN TOYS!!!! 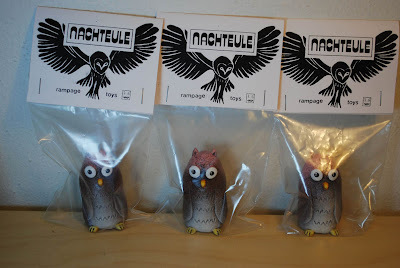 Yep, I've been lazy posting these guys, but here they are (finally) - the RAMPAGE TOYS' NACHTEULE!!!! Nachteule is German for 'Night Owl' (literally translated)... kind of a nick name I've acquired since I'm always up so late making stuff... I'm casting and painting various colorways for this figure, and here are the first three sets - including some that GLOW IN THE DARK!!!! YAY!!! I'm screen printing the header art on these guys, so you get two pieces of handmade artwork for each piece you buy! WOW! Some of the original colorways figures are on sale at MONSTER ART and CLOTHING in Ballard, but the rest won't be available until the Indie Banditas Show on June 26th and the Port Townsend American Legion Hall. Be there! The Original Colorway! Edition of 3. Disco Edition (of 3)! This has it all! It glows in the dark (check it here), AND it's got that awesome fishnet pattern on the wings! WOW-WEE! On top of all that - the header art glows in the dark too!!! Sleepy Owl edition (of 3) :-) These guys glow like mad! Here's the evidence. And again - the header art glows! YAY! Thanks for stopping by! 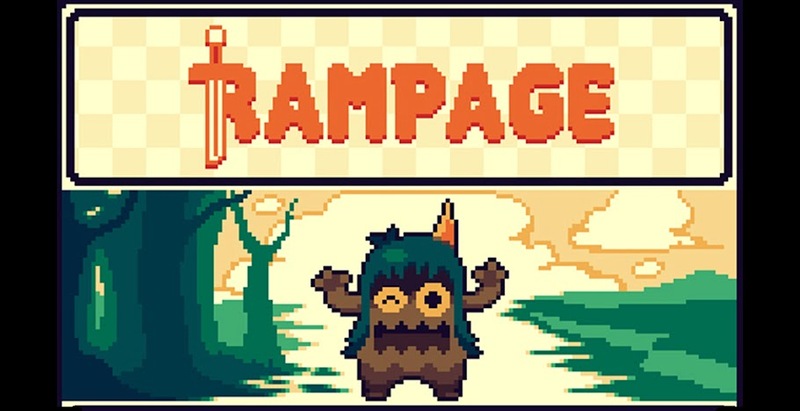 Be sure to check the RAMPAGE Flickr Page for updates (on a very regular basis!). Ciao!